I went with pink, what else! I did some minor tune-ups and last but not least, I softened the background elements using Alien Skin's Bokeh - coupon code DEB0902. 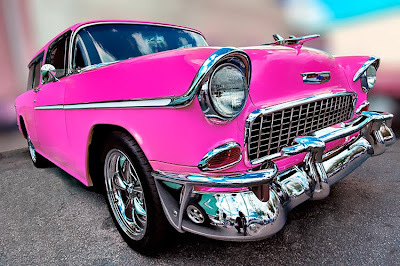 This blended away the background and focused attention on my new pink car. The entire process was fast and easy. The hardest part was deciding which color to go with! 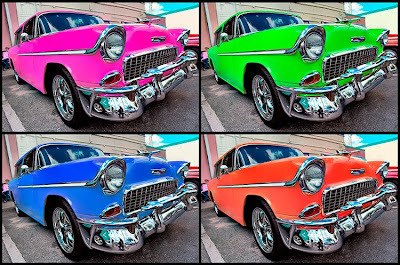 To find out what the original car color was, and to have more Photoshop fun like this, look for my new online class starting in November!